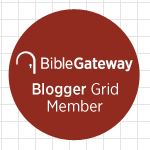 Is it possible to enjoy evangelism? 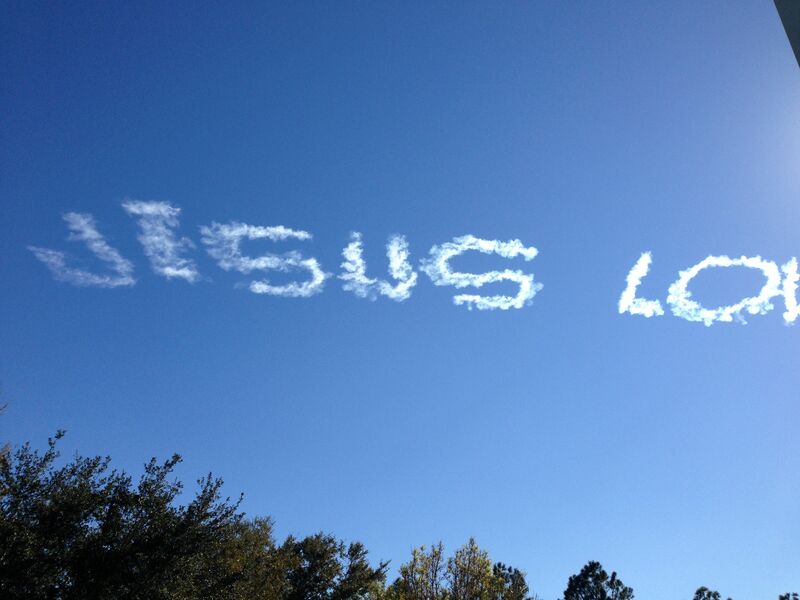 Twice during our Disney trip this week, a skywriter wrote messages about Jesus. The first was “JESUS 4GIVES JUST ASK,” and the second was the one pictured above, “JESUS LOI.” I know that doesn’t make sense. I’m sure he was going to turn that I into a V and spell out “JESUS LOVES YOU.” We drove away before we saw the finished product. When I was younger and more foolish than I am today, I would have dismissed this sort of evangelistic effort as shallow and ineffective. But why? We could do worse than to remind people that Jesus loves them and will forgive them when they ask. And at least this person is doing something to spread the good news of God’s love in Christ. I assume when the pilot is on the ground he does other things, too. People obviously need more than just this message. But it’s a start. One problem, however—which you can begin to see even from this photo—is that smoke letters quickly disperse, like wet ink smudging on paper. Since skywriting is a slow and painstaking process, it’s likely that the words on left will be unreadable before he finishes writing his message. As we the church go about our task of fulfilling Christ’s Great Commission to make disciples, we probably want to make a more lasting impact on people’s lives. In fact, we want to make an eternal impact. How do we do that? Answer: We don’t. We can’t! It isn’t within our power to make an eternal impact on people’s lives. Fortunately, we have the Holy Spirit who does have that kind of power. In his book Conspiracy of Kindness, pastor Steve Sjogren makes this point often: it isn’t about what we do so much as what the Holy Spirit does through us. We easily forget this fact. That’s why Sjogren says most of the evangelism we do either puts pressure on ourselves (“How many people have made faith decisions through our efforts?”), the person being evangelized (“Are you ready to pray right now to accept Christ as Savior and Lord?”), the evangelism program itself (“We’ll have guaranteed success if we follow these seven steps!”), or some combination of the three. Where we should put the pressure, Sjogren argues, is on God. Enjoy the flow of God’s life through us? I want to enjoy the flow of God’s life through me. Don’t you? I’ll say more about this in my sermon on Sunday, as my sermon “Hearers and Doers” continues with Part 2. † Steve Sjogren, Conspiracy of Kindness, rev. (Ventura, CA: Regal, 2003), 55. This entry was posted on	February 20, 2014 at 10:48 pm	and is filed under Uncategorized.